Below is a Checklist of issues to be addressed at a difficult time. Some actions can be handled by family members and other actions are best handled by an experienced estate/probate attorney. 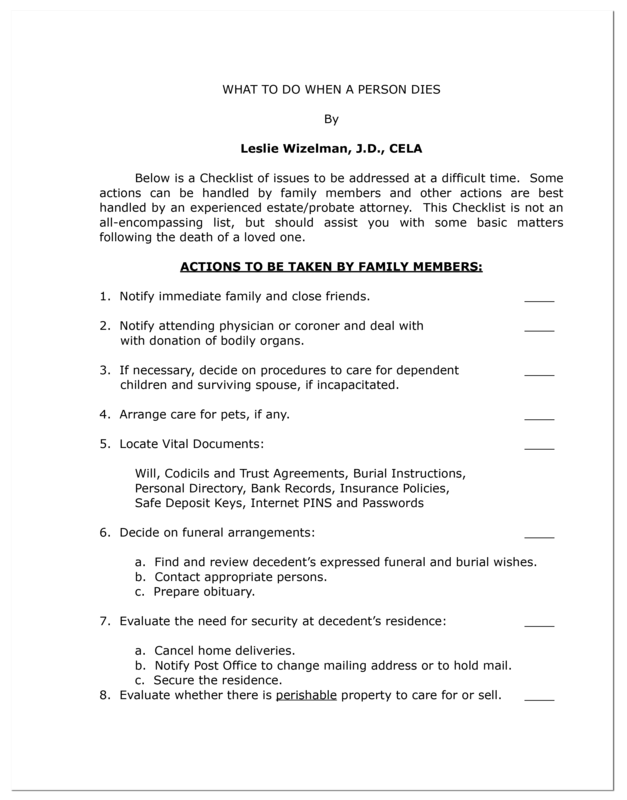 This Checklist is not an all-encompassing list, but should assist you with some basic matters following the death of a loved one. 1. Please click here to download. 2. Print this page and place an "X" on the line when the items has been completed.